Donate – Way to Go, Inc. Thank you for your interest in Way to Go! We invite you to help us assist low-income, hard-working families become more self-sufficient by donating a used vehicle or making a monetary gift to our organization. Since we are an IRS designated 501-c-3 charitable organization, all gifts to us qualify as tax-deductible. Over 97% of each dollar you contribute to our program goes directly toward client services! Way to Go has also been issued Virginia tax credits through the Neighborhood Assistance Program. Contributions of at least $500 can earn a 65% tax credit for individuals, and businesses can earn a 65% tax credit for contributions of at least $616. Please contact our office for availability of tax credits. Step One: Donor informed of IRS regulations as they relate to donation of used vehicles. Vehicles in operable condition that can be awarded to a client qualify as tax deductible at their “fair market value.” Way to Go can invest, within reason, in repairs for donated vehicles in order to get them suitable for award to a client. 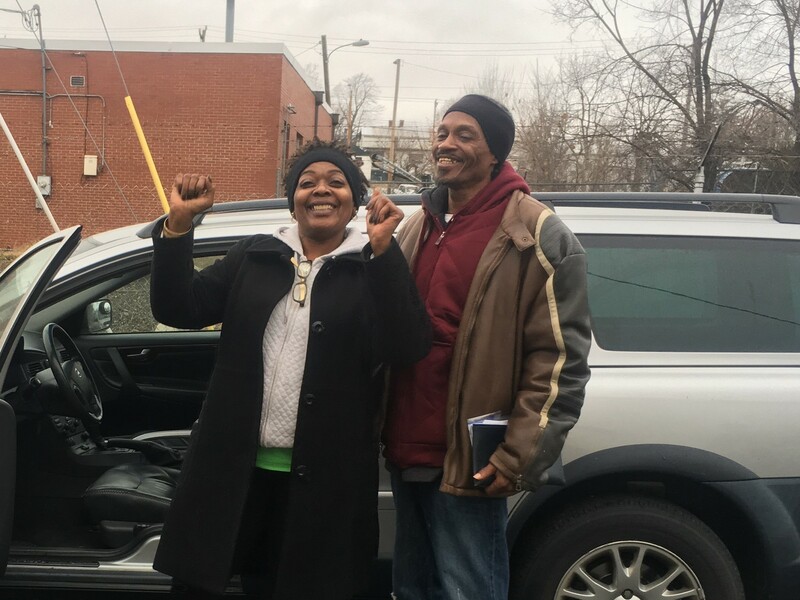 Clients receiving a donated vehicle have been approved by our Board of Directors, ensuring these individuals are meeting program requirements and working toward self-sufficiency. Vehicles unsuitable for award to a client are accepted with the understanding they will be “wholesaled” and the amount we receive for them put into our program for client services. The price for which the vehicle is “wholesaled” is the amount that qualifies as the tax deductible amount for the donor’s contribution. Vehicles with significant repair issues, such as engine or transmission problems, are typically wholesaled. This form enables Way to Go to title the vehicle in our name, as required by DMV to award the vehicle to a client. Additionally, the information provided by the donor on this form gives us the necessary information to process the IRS paperwork (Form 1098-C) required for a tax deductible contribution. This form is for internal purposes only. Donor should provide signature of vehicle owner(s) under “Seller” which can be found on the front page of title under Section A: Assignment of Title by Owner. Please note the actual mileage of vehicle under “Odometer Reading” and put the date of donation under “Date of Sale.” Lastly, under “Sales Price” please write “$0 – donated.” Please do not fill-in any of the fields labeled “Buyer.” Way to Go office staff will complete these appropriate sections. Step Four: Contact our office at (540) 705-6201 or ben@w2ginc.org to arrange delivery of donated vehicle to our vendor’s shop for inspection and preparation of award to a client. Donor Form and Signed Title can be left with vendor or delivered to our office at 317 S. Main Street, Harrisonburg. Be sure to remove your tags and return them to DMV prior to cancelling your insurance. Step Five: Donor will receive a thank you letter serving as tax receipt for their donation. For vehicles suitable for award to a client, Way to Go will remit an IRS 1098-C Form after the vehicle has been processed and awarded to a client. For individuals outside the Shenandoah Valley area, you can still donate a vehicle with Way to Go! Way to Go has partnered with Charitable Adults Rides & Services (CARS), a national 501c3 non-profit organization, to allow donors nationwide to donate their vehicles to assist Way to Go. CARS will arrange for the free pickup of your vehicle and sell it at auction, with the proceeds going towards Way to Go to assist working families in need. Visit careasy.org/way-to-go to get started. Get ready to #PointClickGive on April 17th!